As I prepare for a holiday book signing tomorrow (Dec. 10), I’m reminded of all my author friends who have stood in lone duty behind a table, hoping to attract visitors, chat and discuss their book. In fact I have two shelves in my home library with over 50 books written by friends…most purchased to support them at book signings. It’s part of the process, perhaps “a rite of passage.” Now it’s my turn behind the table, ready to engage anyone with a twinkle of “holiday” spirit. 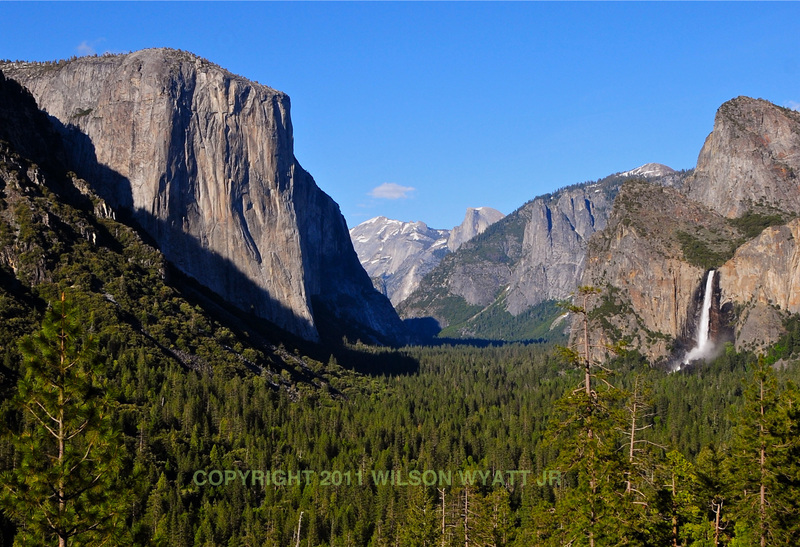 Starting with Facebook, local photographer and author Wilson Wyatt has journeyed from the granite cliffs of Yosemite Valley to publishing a limited edition fine arts photography book, on sale in local bookstores and direct from the author. 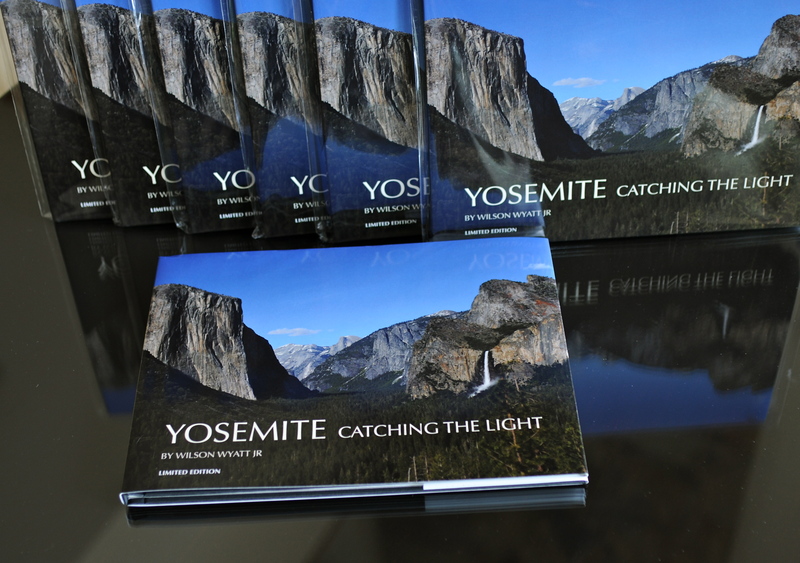 His tabletop photography book, Yosemite – Catching the Light, contains 75 color images of Yosemite Valley, California and the surrounding high Sierra wilderness. Wilson will be exhibiting and signing his book from 1 to 3 pm Saturday, December 10, at the News Center, in Easton, Maryland. The images were taken on a seven-day photographic journey in June through Yosemite, led by his son, professional photographer Wilson Wyatt III, of Scottsdale, Arizona. He was among a group of seven photographers studying the rapidly changing light conditions on Yosemite’s towering cliffs and in the wilderness region. He dedicated the book to his son, noting that he taught him the magical wonders of the photographic darkroom when he was ten years old. Now his son, as an adult professional, teaches him some of the finer aspects of digital photography. The 50-page hardbound book is published as a tabletop edition in full color on photo-quality paper coated with a high gloss finish. The images were printed directly from digital files to capture the original color. Copies can be ordered directly from the author at: wwwtwo@earthlink.net. Wilson is completing a second photography book, The Eastern Shore – Catching the Light, to be released in the spring of 2012. 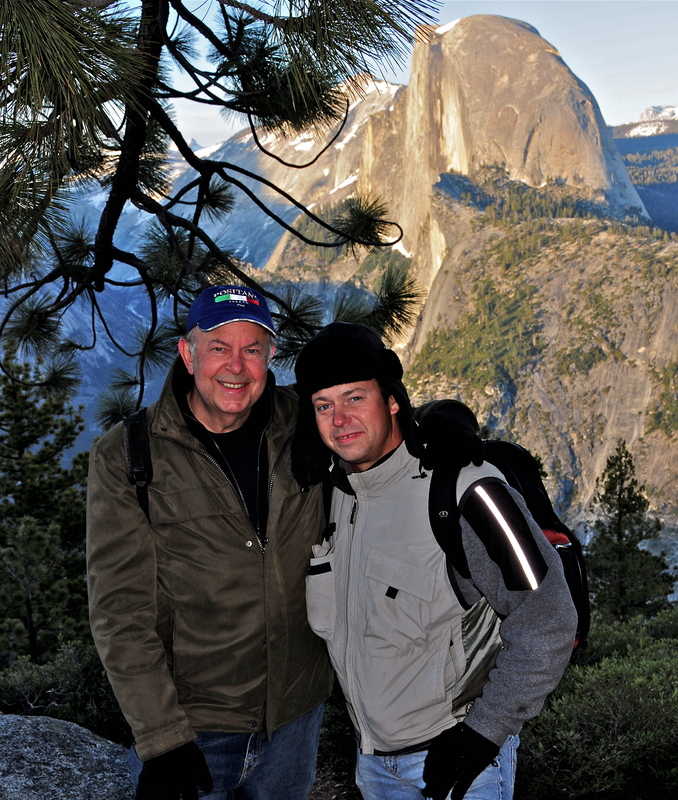 Wilson Wyatt (left) and his son Wilson Wyatt III at "Glacier Point"
Well, best of luck to you tomorrow – I hope it’s fun, and exciting, with interesting conversations with cool people, and affirming for you and your work, and all of those things. A book tour – who hasn’t dreamed about that?????? ENJOY! Thank you for the warm wishes. I sold out of books at the signing, a good sign. It was fun. Cheers! Best of luck at your signing today Dad. I enjoyed the article in Attraction magazine, and I am so happy that you have been able to get these images out in book form and they have done so well and attracted so many to the beauty and wonder of one of our National Parks. We are fortunate to have such a park system both preserving and making these treasures accessible for us to do such a trip as we did in June. Happy holidays to all… this book makes an excellent gift for anyone who appreciates fine art, photography, and enjoys taking a journey into wonder and awe. There is hardly a few days that go by that I don’t pick up my fathers book and travel back into Yosemite through his images. Thank you! Thanks for the plug, Wilson…and thank you for making the trip possible. It was, indeed, special. Thank you, Jeanne. I continue to enjoy the photography you post on your site. The only problem I’m having with my book on the Eastern Shore is selecting the photos. There are too many! 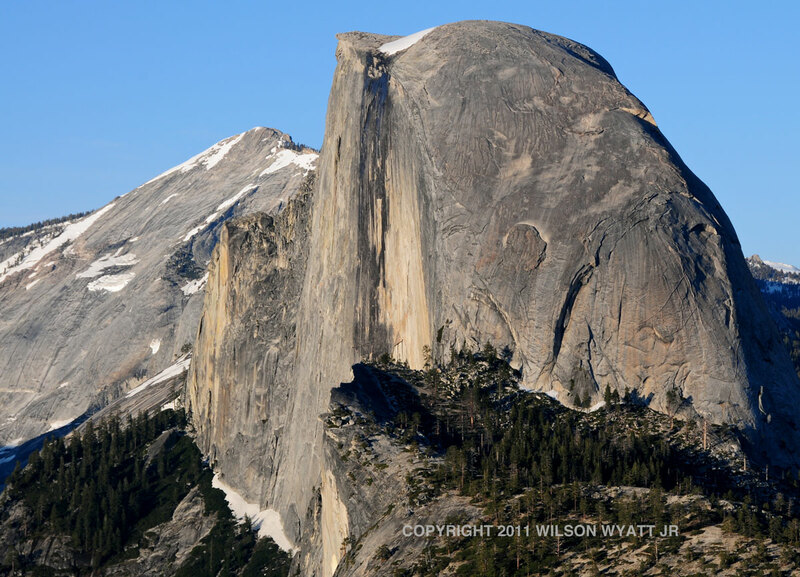 Yosemite was confined to the one trip…so inspiring. The good news is there is so much beauty in the world.